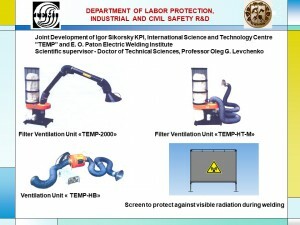 This page is created for introduction of all who wish with activity of department “Labor protection, industrial and civil safety” of National Technical Institute of Ukraine (KPI). On or site you can familiarize with development of the department. Also new legislative acts which provide appropriate labor conditions are planned to be located here. For specialists and masters – “Labor protection and safety in emergency situations”. Preparation of scientific personal (candidates of science and DPhil). Providing of preparation and publishing of methodological literature (textbooks, accomplices, methodological instructions, lections abstracts, normative documents etc.) by research and educational personal of department. 2.1 Preparation of proposal about formation of scientific-technical subject area of department. 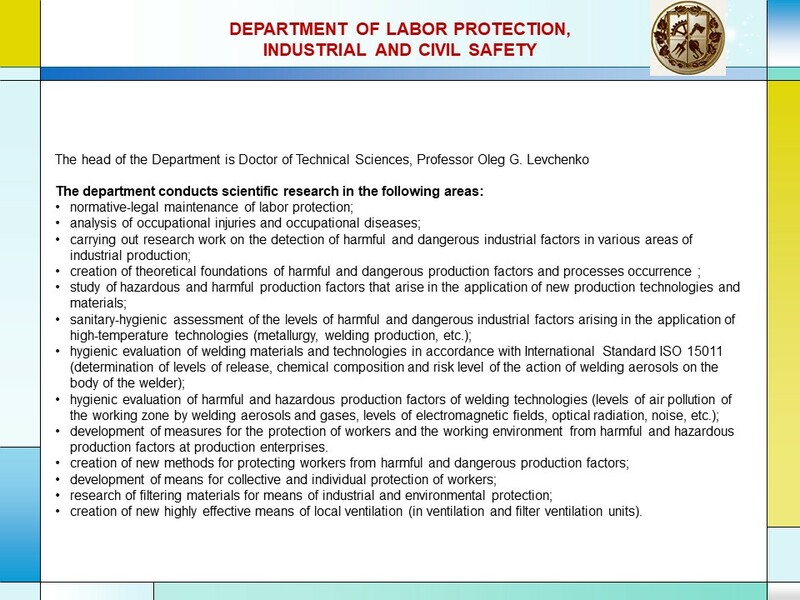 2.2 Participation in contests of state scientific-technical programs from labor protection. 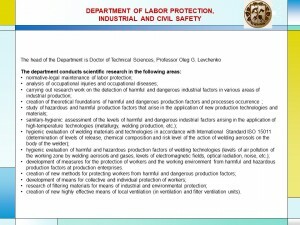 2.3 Execution of scientific-research works (SRW) from labor protection jointly with Institute of electric welding named after E.O. Paton, National Academy of Sciences of Ukraine and National scientific-research institute of industrial safety and labor protection. 2.4 Constant study of market need of industry of Ukraine in scientific-research works from labor protection. 3.1 Fulfillment of cost accounting of SRW about supplying of normative work conditions and safety from harmful and dangerous factors on production and in emergency situations. 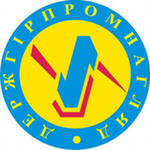 3.2 Fulfillment of works from certification of systems of labor safety due to accepted in Ukraine SSCU OHSAS 18001:2007. 3.3 Preparation of proposal for industrial enterprises about fulfillment of SRW about supplying of appropriate work conditions, life activity and protection of workers from harmful and dangerous productive factors.